Dedicated to the Goddess 'Bhadrakali' is a precious deity of this region. Located on the hilltop between the twin cities of Hanamkonda and Warangal with a artificial lake of 2 ½ kms radius is one of the major attractions of the city. The main attraction of the temple is the square image of the goddess (2.7 X 2.7 meters), an ancient Bhadrakali in sitting posture wearing a crown with eight hands, holding weapons. 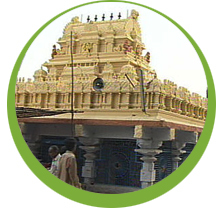 The festive occasion of visiting this temple is in the telugu month of 'Sravana' (August-September), when the deity is decorated in various forms becoming an major attractions to the devotees. The surrounding mountain area of the temple is developed into a sacred one with about 8 major and 12 minor temples attracting lot number of devotees. About 50 kms east of the historical city of Warangal, amidst undulating forest-clad hills and dales is the man made lake Pakhal built during 12-13 AD in the reign of King Ganapathi Deva. It stands as a live example of the Vastu Vignana (Knowledge of Vastu), which found its expression in the building activity of the Kakatiya kings. Around the shores of this lake is the Pakhal Wild Life Sanctuary covering an area of 900 Sq. 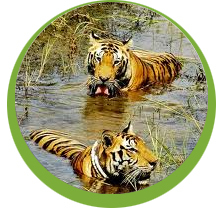 Kms with dense forest, Shelter of tigers and a large variety of protected animals. The Kazipet railway junction is situated at a distance of about 132 kms from Hyderabad and is 7 kms from the city of Hanamkonda. 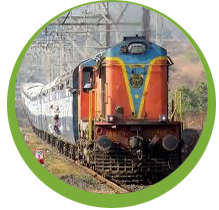 It connects North–South and East -West rail transport of the Indian Railway. This place is famous for the 'Green Durgah' i.e. the tomb of Afzal Shah Biyabani, the Quazi of Warangal during the time of Nizam Ali Khan Asaf Jah II. This place is also famous for the Urs that is celebrated in honour of Afzal Shah Biyabani from the 21-28th of safar, (June-July) when more than 10,000 muslim devotees from all over India congregate. The Kazipet Durgah is the place of visit not only for the Muslim Community but also for other religions from all over the Country. This place is also noted for the Christian festival of Lady Fatima. Ingurthi an ancient village of historical significance was under the rule of the Kakatiya Kings. A reservoir called the Gunti Cheruvu reservoir, which is said to have been constructed by Kakatiya Prola during 1117 AD that can still be seen in this village. The first Telugu weekly from Telangana, namely, the Telugu Patrika was edited and started from this place for some years. It is located 22.5 kms north of Mulug, the taluk headquarters. A big man made tank with a catchments area of 64 sq. kms know as Ganapuram tank and a Siva temple are the important places in this village. Both these were constructed by the Kakatiya Kings. The city has the privilege of having the Bhadrakali Tank and Bhadrakali Temple on its bund encircled by hillocks with beautiful natural surroundings. The land measuring about 15 acres was handed over to the Kakatiya Urban Development authority by the Government by the side of artificial lake of about 6 kms in radius tank. In 1989-90, the Kakatiya Urban Development Authority, Warangal, developed a garden by name the Kakatiya Musical Garden in an area of about 9 acres. This area is endowed with great potential for a musical fountain. There are artificial water falls, boating facility for the young and the old alike with beautiful natural landscaping.